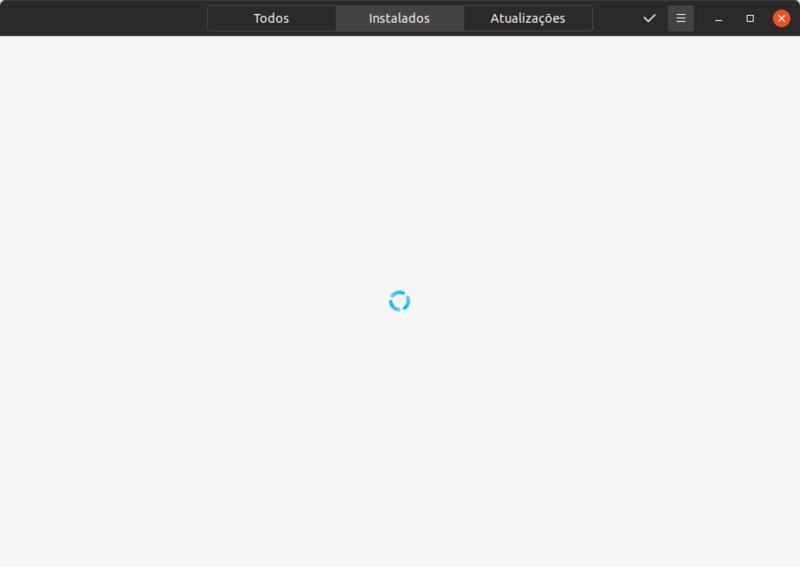 The attachment "Captura de tela de 2019-02-02 21-57-37.png" seems to be a patch. If it isn't, please remove the "patch" flag from the attachment, remove the "patch" tag, and if you are a member of the ~ubuntu-reviewers, unsubscribe the team. Then tell us the ID of the newly-created bug. 2. If step 1 failed then look at https://errors.ubuntu.com/user/ID where ID is the content of file /var/lib/whoopsie/whoopsie-id on the machine. Do you find any links to recent problems on that page? If so then please send the links to us. 3. If step 2 also failed then apply the workaround from bug 994921, reboot, reproduce the crash, and retry step 1. Please take care to avoid attaching .crash files to bugs as we are unable to process them as file attachments. It would also be a security risk for yourself. See if the attachment with the information helps. what attachment with the information? Não existe apego nenhum mané. Os procedimentos solicitados não funcionaram aqui. Existe outro método Qual o arquivo correto a ser enviado. There is no attachment to any mane. The requested procedures did not work here. There is another method which is the correct file to send. Could you at least add your journalctl from a session which had the issue? 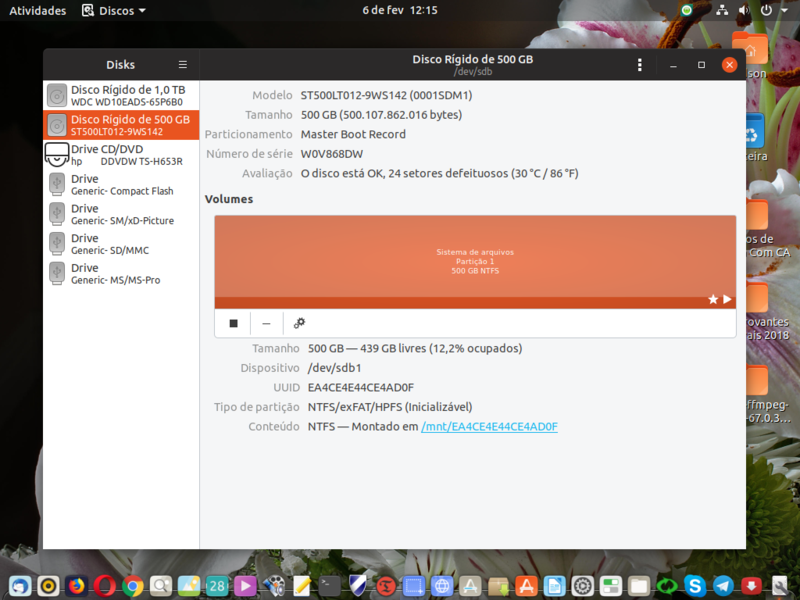 Ainda sobre o Ubuntu Disco 19.04 ele está usando 100% de alguns arquivos vide imagem em anexo. 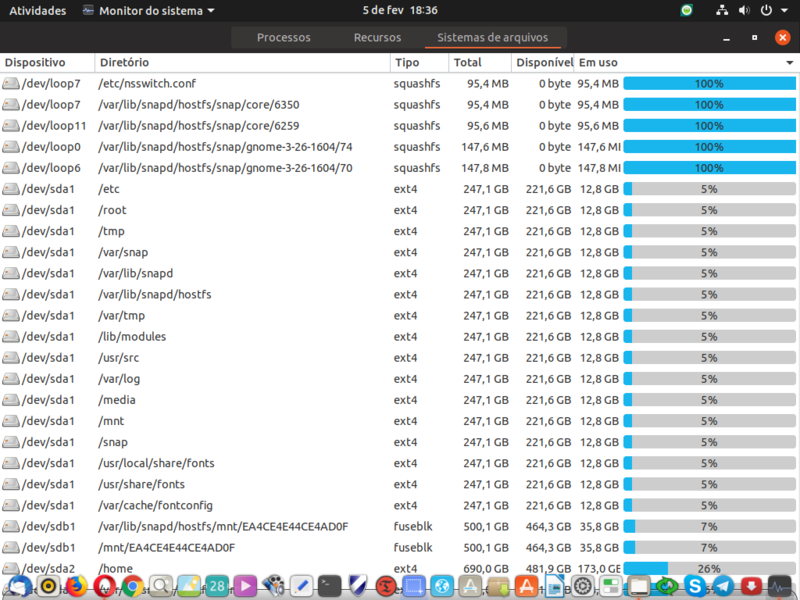 Still on Ubuntu Disk 19.04 he is using 100% of some files see attached image. The PC gets HD access almost half an hour and the folders only open when the HD stops blinking. 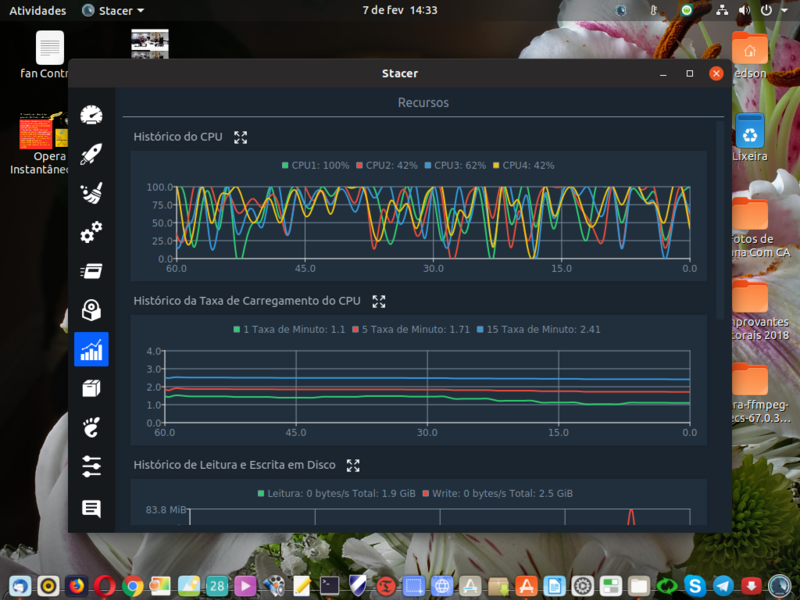 Something is running in the background or using 100% CPU. 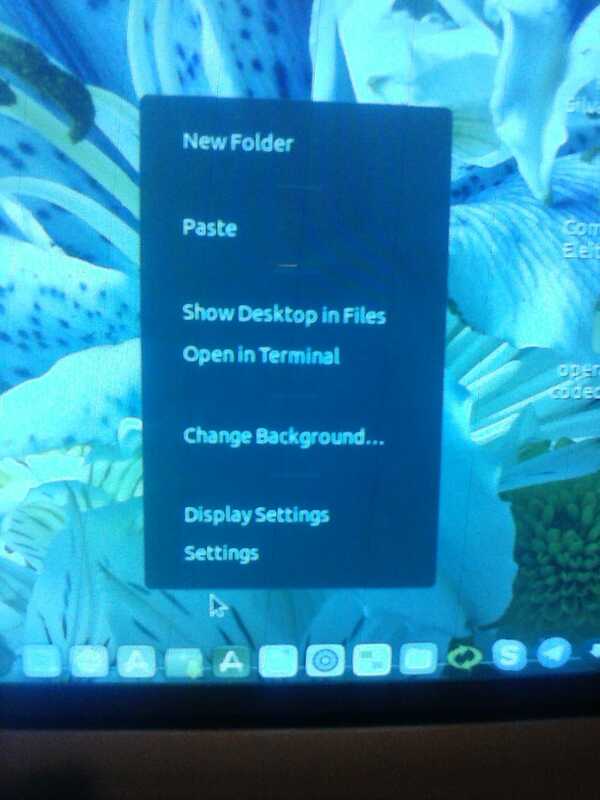 Even the partitions being mounted as shown in the attached image do not open the Nautilus folders by clicking the link. In the work area, when using the mouse with right button the nomenclatures are still without translation into Portuguese of Brazil. It follows the sequence of attachments to show what happened. 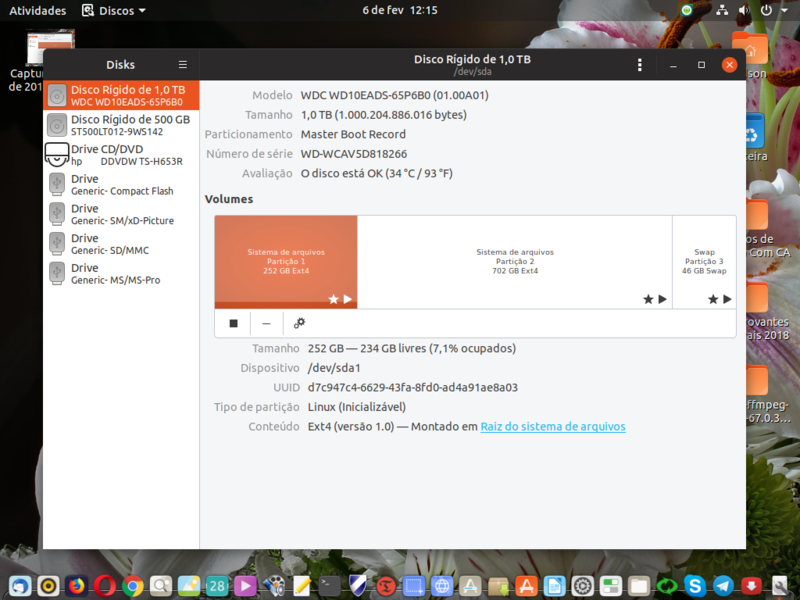 O PC fica com HD acesso quase meia hora e as pastas só abrem quando o HD para de piscar. 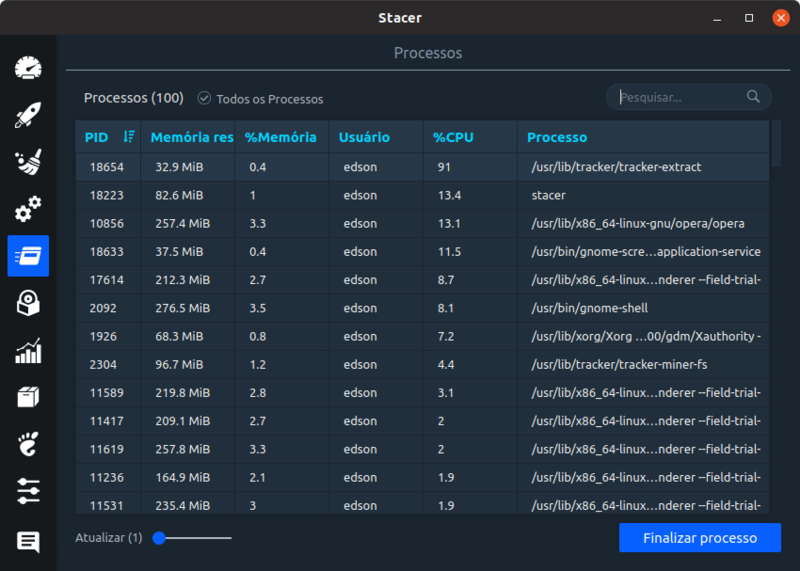 Algo está sendo executado em segundo plano ou usando 100% da CPU. 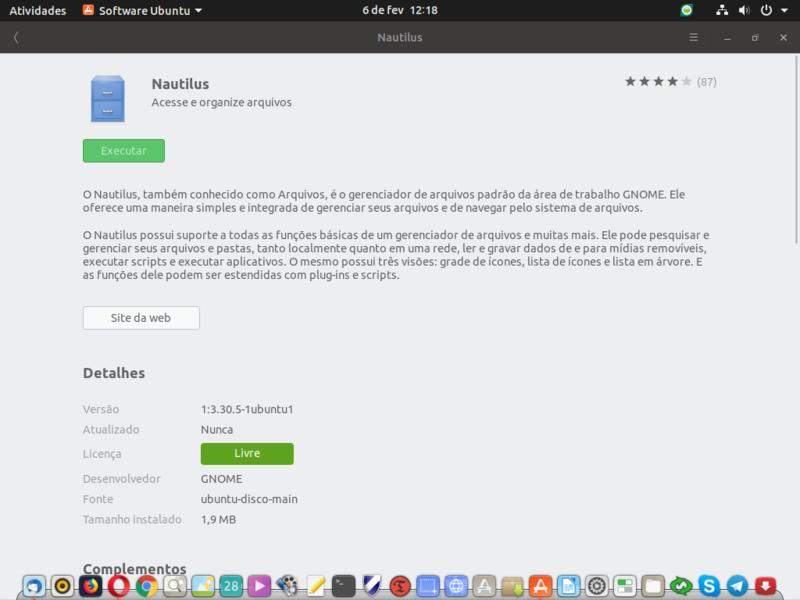 Mesmo as partições estando montadas como mostra a imagem anexa, ao clicar no link também não abrem as pastas do Nautilus. 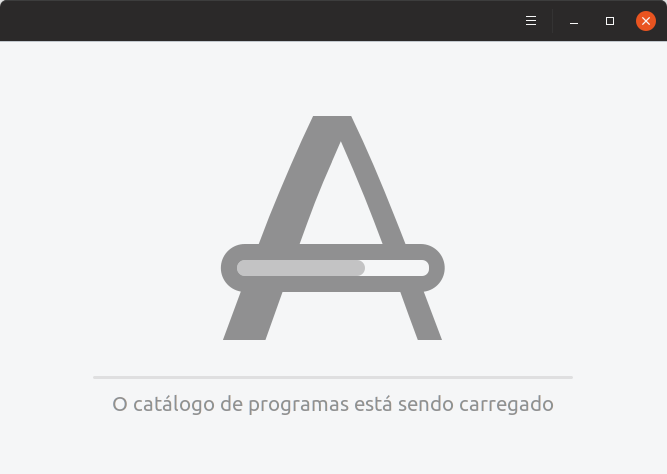 Na área de trabalho, ao usar o mouse com botão direito as nomenclaturas ainda estão sem tradução para Português do Brasil. Segue a sequencia de anexos para mostrar o ocorrido. The application store still continues with problems, wheel, wheel, wheel, wheel, wheel and does not open see attached image. 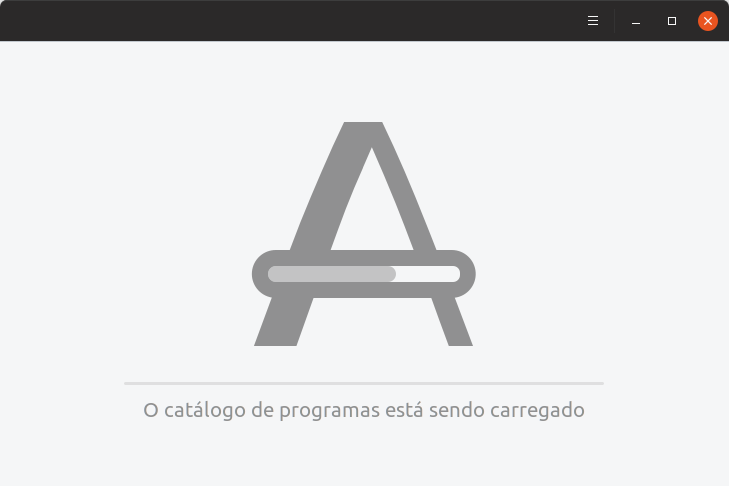 A loja de aplicativos ainda continua com problemas, roda, roda, roda,roda,roda e não abre vide imagem em anexo. After updates on today's date 07/02/2019 has improved the crashes, but the hunger for CPU continues. 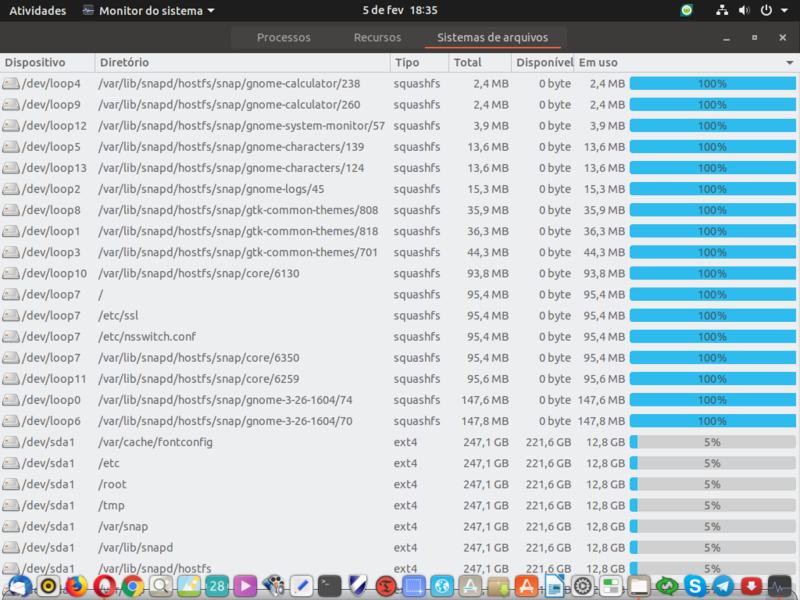 Após atualizações na data de hoje 07/02/2019 melhorou os travamentos, mas a fome por CPU continua. 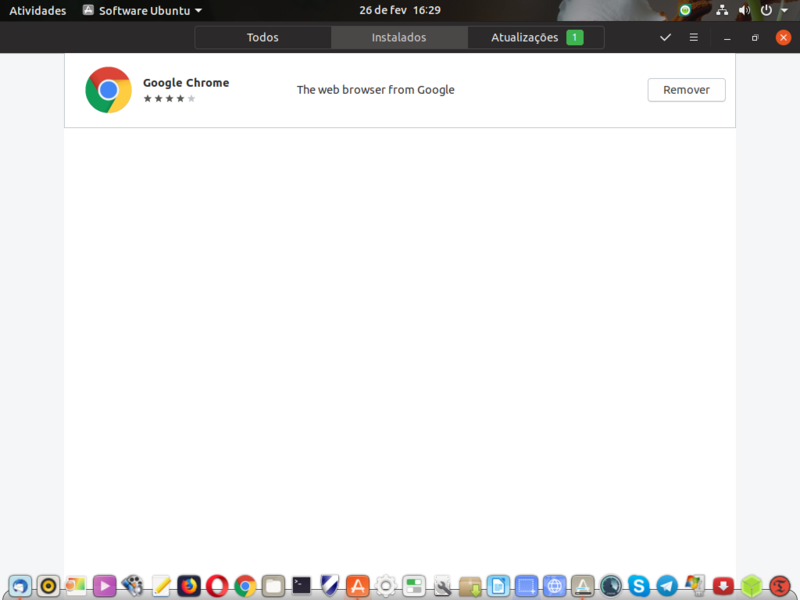 The Ubuntu Software screen continues to freeze as attached image. 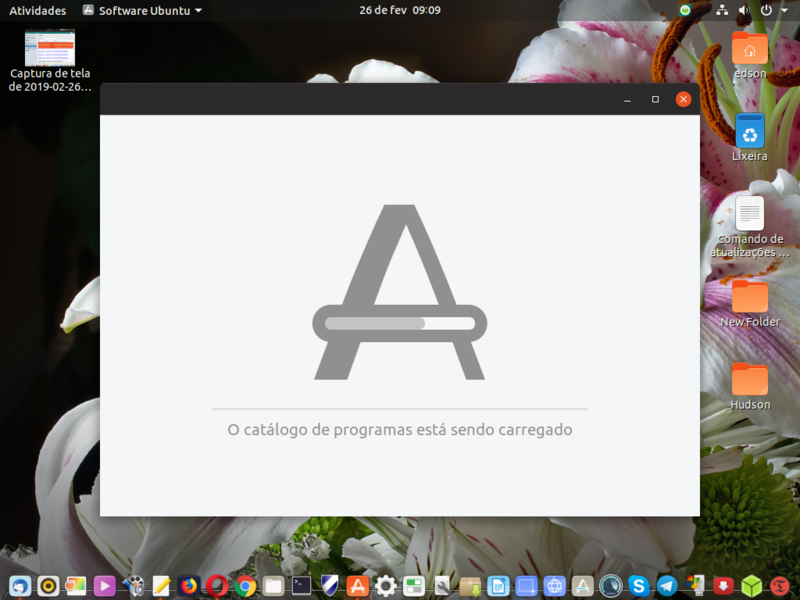 A tela do Ubuntu Software continua congelando conforme imagem anexa. Besides the freezing of the screen does not appear the list of installed applications, see annex.